Parent and grandparent alert! Despite a 2011 pledge among United States chain restaurants to improve the nutritional value of children’s menu options, a 2017 study done at the University of Pennsylvania School of Medicine and the Harvard T.H. Chan School of Public Health found that no significant improvements have been made to cut calories, saturated fat, or sodium. 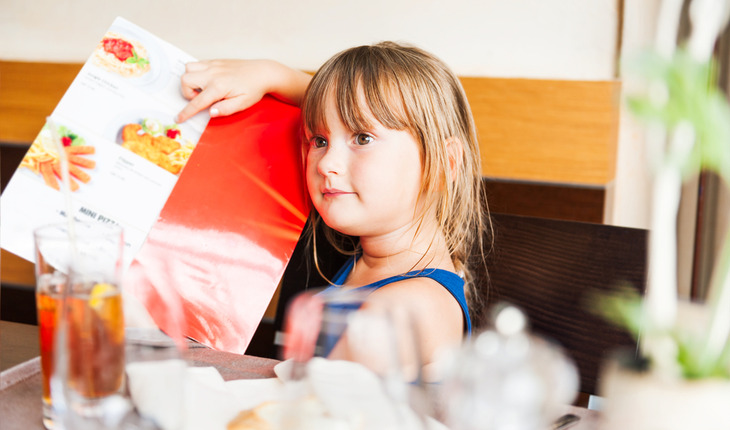 The study is the first to look at trends in the nutrient content of kids’ meals among national restaurant chains since the National Restaurant Association launched the voluntary Kids LiveWell program in 2011. The report was published January 19th 2017 in the American Journal of Preventive Medicine. A release from the University of Pennsylvania notes that by 2015, more than 150 chain restaurants with more than 42,000 locations had joined the Kids LiveWell program and pledged to increase the number of nutritious menu items available to children. In the years since, several major chain restaurants have announced that they will remove soda as the default choice on children’s menus, while others have added healthy side options such as yogurt and fruit to kids’ menus and meals. The authors say that while these steps have the potential to make a difference, the results of the study show more meaningful changes are needed. Additional results of the study show that while some restaurants have replaced soda as the default beverage in kids’ meals, many of the new selections are still sugar-sweetened and contain just as much sugar as soda. In fact, results show that sugar-sweetened beverages still make up 80 percent of children’s beverage options, despite voluntary pledges to reduce their prevalence. In the study, researchers used data from the nutrition census MenuStat to track trends in the nutrient content of 4,016 beverages, entrees, side dishes, and desserts offered on children’s menus in 45 of the nation’s top 100 fast food, fast casual, and full-service restaurant chains between 2012 and 2015. Out of the sample, 15 restaurants were Kids LiveWell participants.